While refactoring MvvmStack for WinJS code i noticed that I did not show how to persist the state of the services when the app get suspended, so i checked in a new version that persist the data contained inside imageService.js (in a real world app, the data will probably come from a remote server). As you see in code above the service also exposes the same methods serialize and hydrate we met when speaking about viewmodels that serialize and deserialize service state to/from a json object. No rocket science, but it makes stack more complete and usable in real production code. 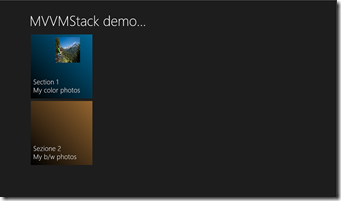 In this last post about MvvmStack I’m going to cover two aspects: Binding and Blendabilty. I’m not going into WinJS Binding since MSDN documentation provides a lot of material, i just want to describe some binding extensions available into binding-extension.js file that extends WinJS binding capabilities. eventToProperty: Allows you to update a viewmodel property when a control event occurs, you can also specify a two-way mode so that when viewmodel’s property changes the control’s property is updated with new value. 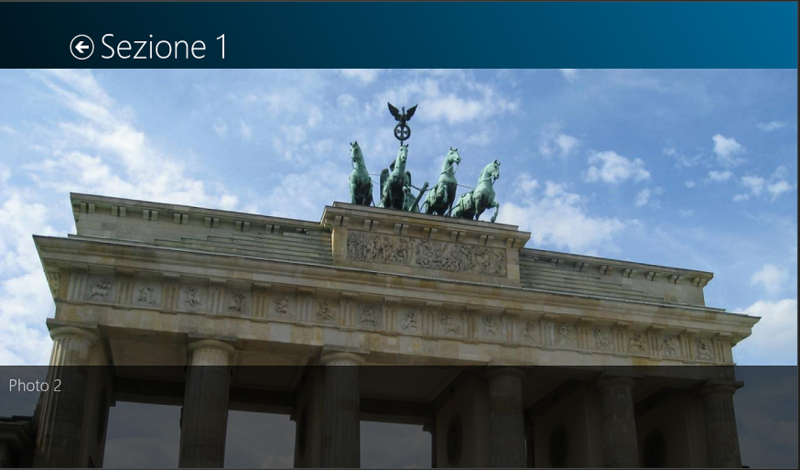 The demo uses it to notify the viewmodel that user flipped the image on flipview control (on section.html page) and to move to fist or last image on set using application bar’s buttons. 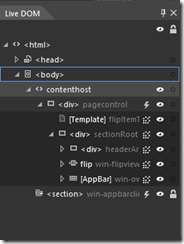 The syntax is [triggerEvent]$[viewModelProperty]:[controlProperty][$two], previous html snippet shows how, when FlipView’s onPageCompleted triggers, we update viewmodel’s currentpage.value property using control’s currentPage property in two way mode. invokeOnEvent: Invokes a viewmodel’s method when an event occurs, passing event source as parameter to target function (sort of ‘sender’ parameter C# counterpart) if you don’t need sender, just use standard WinJS binding. arrayBind: Allows binding to viewmodel’s properties exposed as arrays using this syntax: [sourceProp]:[property][index][property] e.g: data-win-bind="src:dataTile.image"
If you, like me, use Blend for HTML tool to design the views you know that it offers an interesting interactive mode. your app is run, you can play with it, then exiting from interaction mode, start modifying the live DOM acting on current live state. Sometimes running the app and reaching the page you want to edit is tedios, that’s why i prefer to use an alternative way. 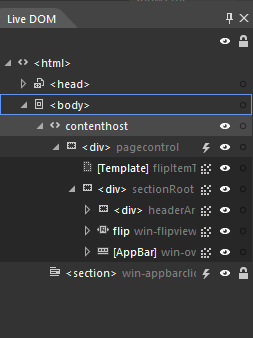 Inside defaul.html you’ll see that there’s a commented PageControlNavigator definition, this is the one i use to start app from a specific page, let’s change default.html markup this way. what the function does is create some fake data when the page is loaded inside Blend. Opening default.html in Blend now shows the page populated with fake data so you can start editing it. Think I’ve covered everything you need to know to play with sample code, as stated initially there’s room for improvements and modifications. My goal was to provide an example of how to use MVVM patter in WinJS based applications. In part3 we learned how to customize the components tied to our application, it is now time to investigate the ViewModels associated with each view. 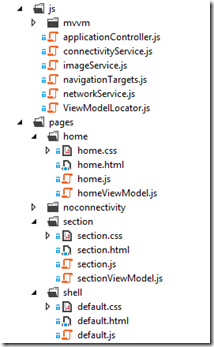 Lets’ start seeing how a viewmodel is declared, inspecting homeViewModel.js, the one paired with demo application home view. As you see, it is a class inheriting from ViewModelBase that receives some external dependencies like other MvvmStack references, target urls object and, obviously, WinJS namespace. Inside constructor we create the sections that are going to appear in home page using static data (in real world they might come from an injected external service), in this case we have section 1 and section 2, each one has its own characteristics, also note that at the end we invoke base class function processAll that marks all function exposed by the class “safe for databinding” and ensures that ‘this’ inside any instance functions safely points to class instance (if this sounds weird to you read here) please note that, at the moment, processAll doesn’t handle functions exposed by class within nested objects. sections: The sections we’re going to bind to homepage listview. templateRenderer: Since we want each section to appear differently, we created a couple of listview templates and render them through this function depending on item’s Id value. 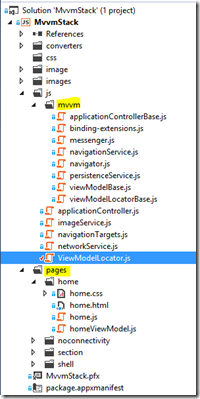 invoked: Is the function that gets invoked when user taps a listview item, as you see, we store section id value into shared applicationcontroller object then we use mvvmstack navigation infrastructure to navigate to section page, this will create sectionViewModel first, then navigates to section.html page. How do we pair this viewModel to homepage view? The code is quite simple, it just uses WinJS.Binding.ProcessAll to set homeViewModel as datacontext for current view, nothing more, nothing less. Mapping viewmodel to View elements, databinding to the rescue! 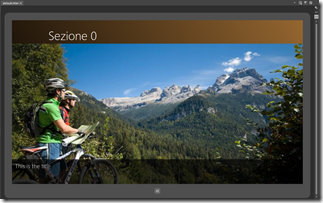 please note the use of winControl property to bind listview control’s property with viewmodel’s. In order to let the infrastructure know what are the viewmodels to persist when a suspend event occurs, viewmodel class name must be [pageName]+”ViewModel”, so if you add an “about.html” page, associated viewmodel class must be named “aboutViewModel”. In this case the ViewModel exposes two functions: serialize and hydrate, former is invoked by persistenceService when it needs to save viewmodel’s status, latter when it is time to rehydrated it using saved informations. If your viewmodel requires state persistance just implement both functions, persistenceService.js will take care of the rest. 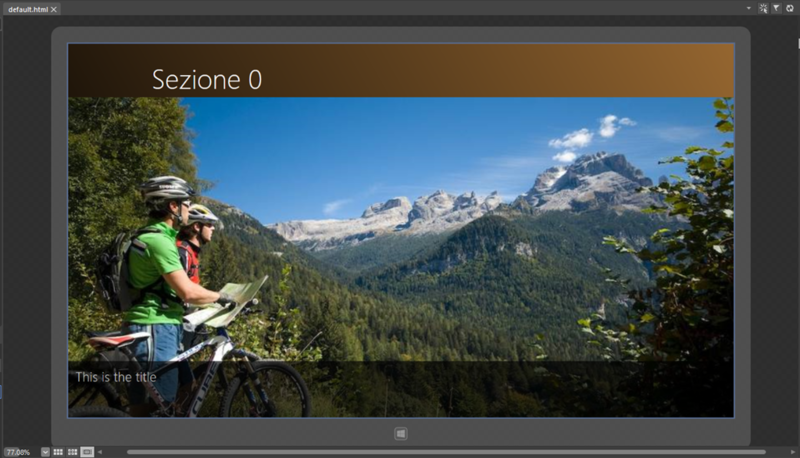 5- Add a new switch entry into ViewModelLocator’s createViewModelForUrl function. [note] Step 3 no longer required, see here. In this 3rd episode of the MvvmStack saga I’m going to describe how to use the set of core mvvm modules we saw in previous posts describing application dependent modules. It’s a simple object, nested into Demo.Navigation namespace (use your own namespace in production code) that exposes a set of uri pointing to application pages, this allows us to centralize pages uri and pass these infos to various modules. As soon as you add new pages this object must be updated with new properties. applicationController.js represents an optional application object shared among viewmodels, it can be used as a general data cache and it’s also persisted during suspend/resume events. 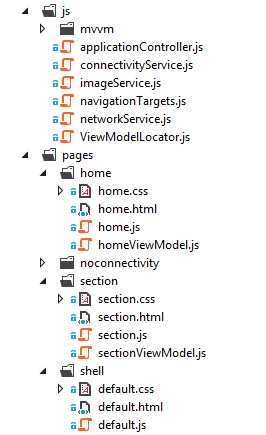 As you see in previous code, the object inherits from ApplicatioControllerBase class and exposes a selectedHomeSection that is used by homepageViewModel to inform sectionViewModel about what section has been selected by the user. serialize and hydrate are functions invoked by persistence service when object must be persisted and lately rehydrated. ApplicationController class is nested inside Demo.Application namespace. connectivityService.js is a completely optional component that in the demo application handles connectivity changes messages navigating to a static noConnectivity.html pagecontrol. Your application can freely ignore this module and handle connectivity changes in a total different way, all you need to do is to subscribe the message as connectivityService does. viewModelLocator.js takes care of creating the viewModels associated with application pages, it’s a class that derives from viewModelLocator base and overrides createViewModelForUrl function. createViewModelForUrl is the core function that take care of creating a viewModel before page gets loaded, depending on target url. The snippet demonstrates how a single instance viewModel is creates for home page, while when user navigates to section page, a SectionViewModel instance is instantiated and related images loaded. Since each viewModel becomes a property of viewModels object, when a new ViewModel is added the object must be updated adding a property that matches ViewModel name. The code also includes a createDesignTimeViewModels function, I’ll describe it in a forthcoming post regarding Blendability. In next post we’ll analyze pages ViewModels, how to create and pair them with related View. Inside mvvm folder there are all the files that provides core functionality, this means that you can reuse this files in different apps without modification. 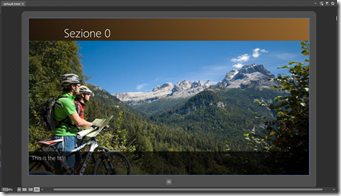 The demo is based around HTML Navigation Application template, if you need to create a new app, just select it and let Visual Studio 2012 create all required files for you, then delete navigator.js file since it is already included inside mvvm folder in a slightly modified version. Looking at the code you’ll see that I like to explicitly indicate what are each file dependencies passing them to module self-invoking function, that implies that modules must be loaded using a prefixed sequence otherwise dependency would become unresolved. As evident mvvm core modules are loaded first, then modules that depends/inherits from core modules then other optional core services like networkService (a service that monitors network connection status) followed by page viewmodels and ending with modules that require all modules accessibility like ViewModelLocator, PersistenceService and NavigationService. Is the base class for ApplicationController, an object that can be shared among ViewModels that I use as a quick way to pass informations among them, it’s state is normally persisted when app gets suspended. Obvisouly it is an optional part but demo shows how you can use it to share parameters from home page to section page. This is a general binding helper module an not tied to Mvvm, it contains helper functions that add two-way binding, two-way binding triggered by an event and a event to method invoker. If you want to extend WinJS binding this file would help you. This represents a generic message broker allowing you to send messages among loaded modules, app uses it to navigate to a “no connectivity” page when connection drops. (try it running the app then activating flight mode) It includes a couple of predefined messages: networkStatusChanged and navigatedBack. This is the modules that handles page navigation, it uses WinJS navigation infratructures but it takes care of instantiating the page viewmodels when required. This is the service that, when a suspension request occurs, serializes applicationController and all viewModels implementing serialize method. It also re-instantiate viewmodels and rehydrates them when application resumes. Base class for all viewmodels, it includes a processAll function that marks all viewmodel’s function as ‘safe for processing’ and set ‘this’ context to viewmodel instance. Base class for ViewModelLocator, a class that takes care of creating/deleting page viewModels. 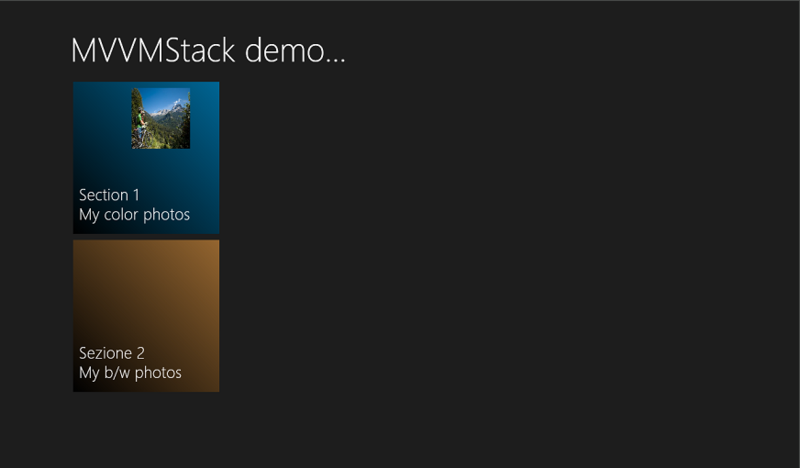 That’s all for now, on next episode we’ll see what you need to customize to use the stack in your app. 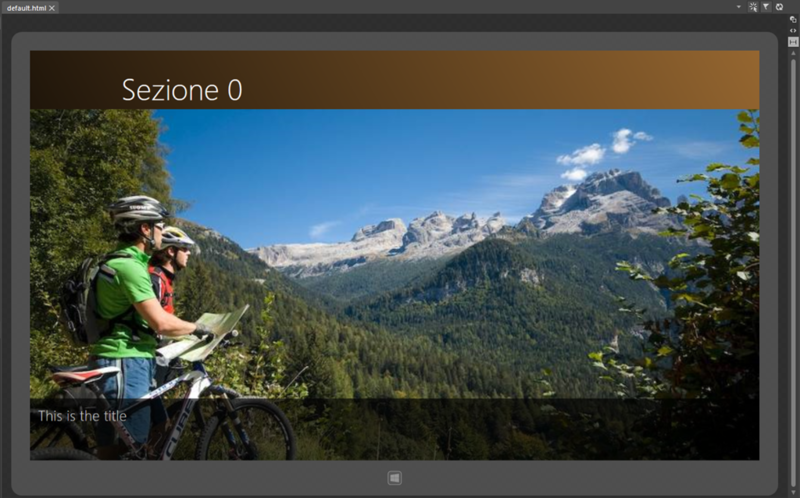 At recent Community Days 2013 conference i had a talk about WinJS development where, at the end, i introduced a demo about MVVM development in HTML 5/Windows Store app, since i found near to zero documentation about this, i decided to share some personal experience. 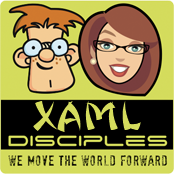 I’m not going to explain what MVVM (Model-View-ViewModel) is, there is a lot of documentation in Internet, if you need a starting point have a look Laurent Bugnion’s article here, but, as seasoned XAML developer, i admit that I can no longer create production apps without it. 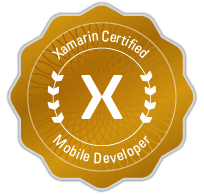 In this first post I’m going to describe what you get when you download the code from http://mvvmstack.codeplex.com. 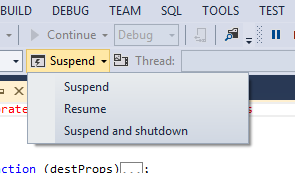 Demo also includes suspend and resume functionality, in any moment you can use Visual Studio 2012 Suspend command to trigger app Termination and Resume it to the exact point it was left. Another interesting aspect is that it supports Expression Blend interactive mode: just open the default.html page in Expression Blend and click Turn on Interactive Mode to start interacting with the app. 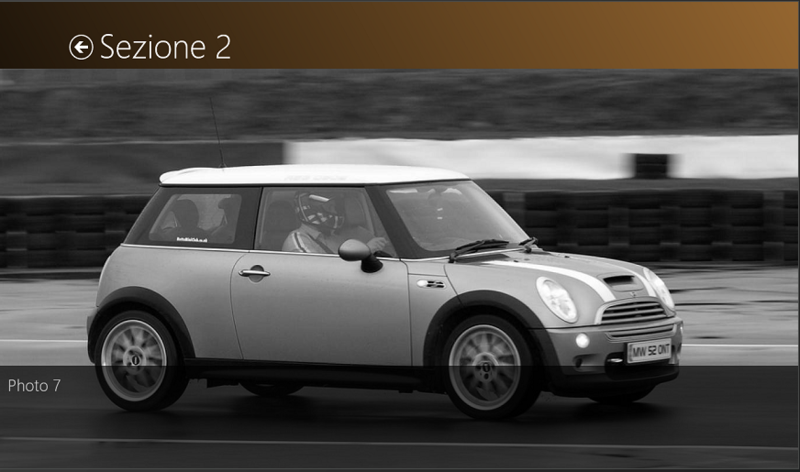 navigate to the page you wish to edit, press the button again to exit interactive mode and start editing the live DOM. Since navigating to a page from the start might be a cumbersome in some cases, the demo lets you generate some design time data and edit a page without navigation. In previous screenshot you see section.html opened in Expression Blend with some dummy data. Get the code from http://mvvmstack.codeplex.com and start playing with it, while far from complete and without presuming to be the best MVVM implementation, i hope you’ll find interesting hints for your next HTML5 Windows Store Application. The code is provided “as is”, without warranty of any kind, feedbacks are welcome!